Recently i found another interesting gadget online. This thing became interesting when i started to worry that someday i might forget where did i put my phone or whether i was picked pocket and lost my beloved Samsung s4... so i online and searched for some anti lost or anti theft gadget. My requirement is that the gadget have to either sound or vibrate whenever i was in about 10m distance from my s4 and the gadget must have long standby time, so that i don't need to replace batteries often or charging frequently. 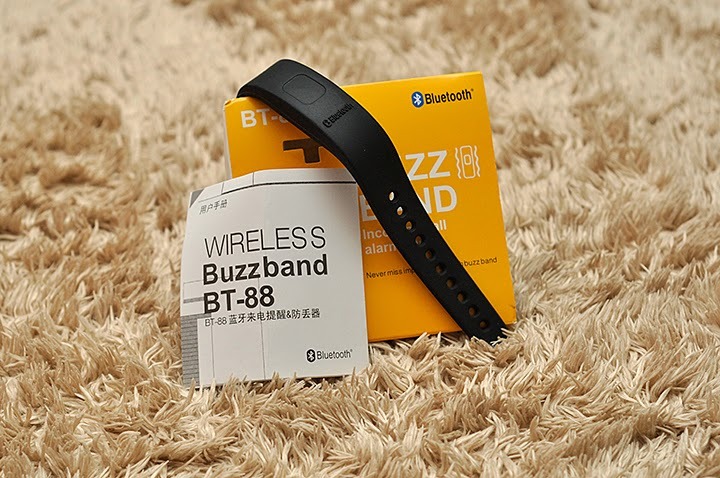 So today, i will blog about this BT-88 (bracelet style) gadget. It looks like a bracelet and also look like a watch. Compatible with all phones with Bluetooth. Vibration prompt for incoming phone. Can reject the call by long pressing the function key two times. With durable and adjustable rubber strap to fit different size wrists. Notify by vibration that your mobile phone may be lost when distance over 10m(32ft) with the phone. Built-in rechargeable lithium-ion polymer battery. Specially design for business people, senior people, fashion crowd, tourists, etc. It is beautiful, fashionable, and portable. The device hide inside the rubber bracelet/ watch.